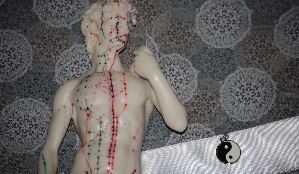 Acupuncture and Chinese Medicine encompasses many healing modalities that touch people. The treatment session will include what is needed to treat each patient’s chief complaint and provide the nourishment necessary to heal. Acupuncture is meant to be used as a preventative system, but many people begin receiving relief from symptoms right away. The body will strive to find balance, and acupuncture aids the body in recognizing areas that may have created a long time sense of imbalance. Because of this process, the body will also heal in it’s priority, which may not be be the desired priority. Healing in this way requires collaboration, commitment, and change because we can’t heal in the same “place” that we became sick. 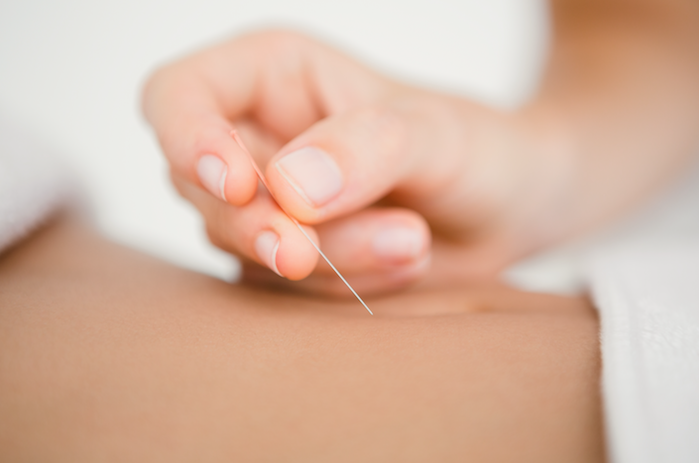 The insertion of tiny needles into points of documented significance in healing specific imblances of the body is one way of describing acupuncture. The energy transfer from practitioner to patient, exterior body to interior body, body to mind is another way of understanding acupuncture. Just as an artist’s interpretation of colors, shapes, and textures deliver her beautiful visions in picture, acupuncture follows the spirit of the healer; each practitioner will see, hear, smell, and feel uniquely – and her touch, her needling, the energy exchange will be intimate and personal. Once you find yourself in a state of health maintenance, this beautiful place where you have discovered and reconnected to your body in a way that you have become your own healer, community acupuncture offers you the maintenance style acupuncture along with the more affordable cost to do so. If cost is an obstacle to receiving acupuncture, community acupuncture can be life changing. It can start the healing process for all who desire it. Auricular therapy can be done using acupuncture needles and ear seeds for conditions ranging from addiction, stress/depression/anxiety, insomnia, to joint pain, back pain, hip pain etc. The ear has been mapped to coordinate points that are able to treat the entire body. If needles cause your heart rate to speed up and your body to cringe, consider auricular therapy using ear seeds. 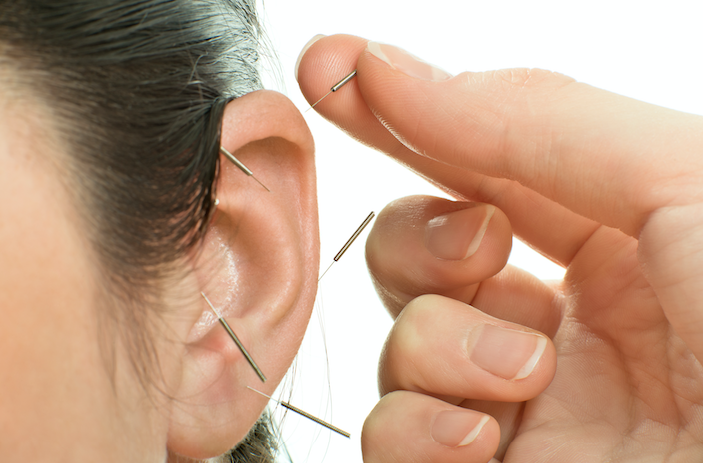 Ear acupuncture points may be stimulated for a longer period of time by using ear seeds. Ear seeds are small seeds from the Vaccaria plant. These seeds are held in place on the ear with a small piece of adhesive tape. Ear seeds may be left in the ear for a few days or up to two weeks. Using special adhesive dots, the practitioner attaches small and inconspicuous seeds to stimulate specific points on your outer ear. By pressing these ear seeds, you can stimulate your own acupuncture point for up to two weeks. 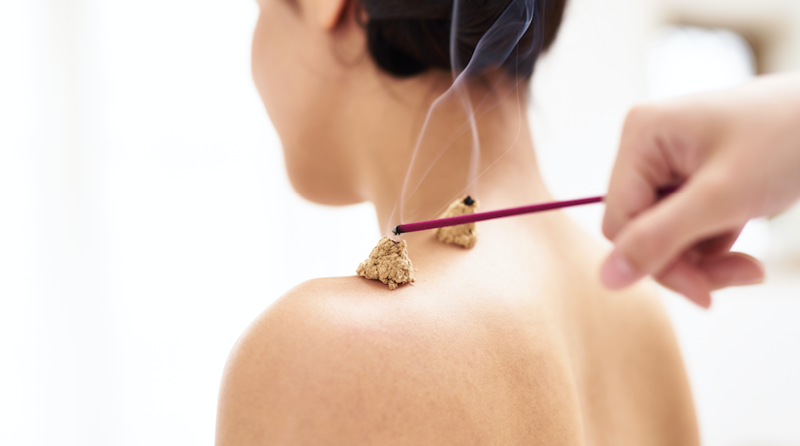 Auricular therapy is a great addition to your acupuncture treatment..
A way of extending your acupuncture therapy in between sessions is by using herbs and essential oils that help to deliver the nourishment that enables your system to function more optimally so that it can then have the energy to put toward healing. 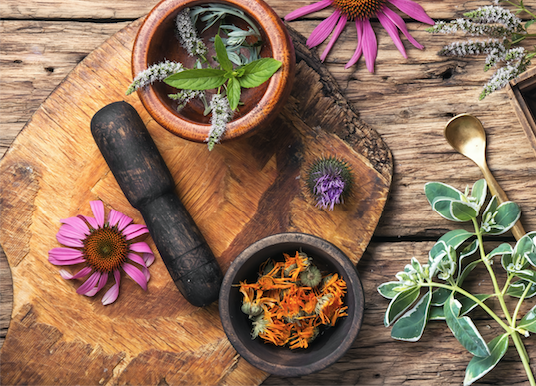 I offer the following brands to my clients based on their individual needs; Standard Process Supplements, Essential Oils, Contemporary Herbalist CBD Oil, and Golden Flower/Evergreen Chinese Herbs. 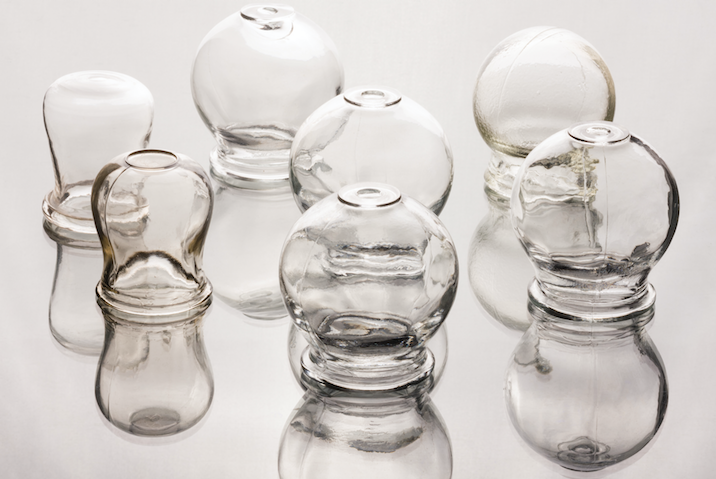 Cupping, the inverse of massage, uses suction to pull skin, tissue, and muscles upward. It often works wonders for patients with the flu, colds, coughs, back and muscle pain, poor circulation, anxiety, red itchy skin conditions (though cups are not applied to inflamed areas), allergies, fevers, aches and myriad other pains. The purpose of cupping is to enhance circulation, help relieve pain, remove “heat” and pull out the toxins that linger in your body’s tissues. You usually will feel a tight sensation in the area of the cup. Often, this sensation is relaxing and soothing. Depending on your comfort and your practitioner’s assessment of the problem, cups may be moved around or left in place. They may remain on your body briefly or for longer amounts of time. Cupping causes the skin to temporarily turn red, blue or purple, especially if there is an injury or energetic blockage under the area that was cupped. The skin discoloration can last anywhere from a few days to a couple of weeks, but is rarely painful. Once the marks have cleared, the procedure can be repeated until the condition or ailment is resolved. Gua sha is a healing technique of traditional East Asian medicine. Sometimes called ‘coining, spooning or scraping’. Modern research shows Gua sha produces an anti-inflammatory and immune protective effect that persists for days following a single Gua sha treatment. Pain, both acute and chronic, is the most common indication for gua sha. In the TCM tradition, pain is oftentimes caused by the stagnation of blood in the local area of discomfort. The guiding principle behind gua sha is that this technique has the ability to break up stagnation, to promote the smooth flow of blood in the area, thereby relieving pain. While gua sha is most commonly used to treat pain, it can also be utilized by TCM clinicians to address conditions such as asthma, bronchitis, colds, flu, fever, heatstroke, fibromyalgia, strains, sprains, and muscle spasms. There are several theories that may explain why this ancient technique works: gua sha increases blood flow (microcirculation) in the soft tissue, potentially stimulates the body’s natural pain-relieving opioid systems, and it may block the pain response pathways so you feel pain relief. Acupuncture points can be stimulated with electrical stimulation in order to penetrate to deeper tissue levels and create a releasing sensation to relieve muscle tension. 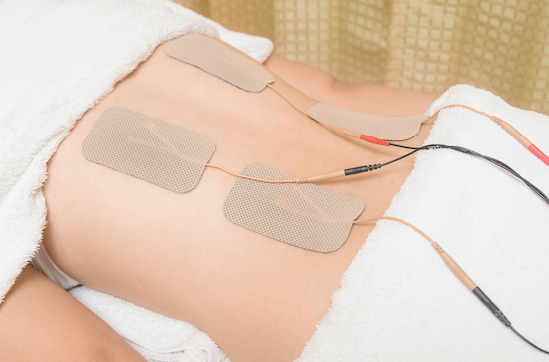 It can be done on the surface of the skin, using sticky electrode pads if you are nervous about needles. Electrical acupuncture is being studied more extensively in it’s ability to treat patients in stroke recovery, weight loss, and not to mention, pain. Moxa increases endurance, digestive power, and stimulates the immune system. Since moxa increases the amount of red blood cells circulating in the body, it increases the amount of oxygen carrying hemoglobin and is capable of speeding up healing. Maximum Oxygen Uptake prevents and improves recovery time from diseases such as hypertension and diabetes. Maximum Oxygen Uptake also decreases the cancer rate. Thus, we may assume that the modern idea of maintaining health by increasing Maximum Oxygen Uptake is based on the same mechanism as our traditional wisdom for attaining longevity.